Today a national monument, the Alhambra in Granada, symbolises the golden reign of Muslims in Spain. The Alhambra grew from a fortress built by the Ziridian dynasty to a citadel extended by successive Nasirid kings from the mid-thirteenth to late fourteenth century. Its artistry is immediately striking in the colour of its outer walls (hamra means red in Arabic). Inside, the myriad archways, courtyards, inscriptions and water features resonate with interpretations of paradise by nameless artisans. Falling into the hands of Ferdinand and Isabella in 1492, the Alhambra also fell, eventually, into disrepair until restoration began in 1828. Winner: Ruh Al-Alam is an artist and creative entrepreneur who has worked across multiple disciplines for over two decades. His ‘British-Arabic scripts’ takes inspiration from local Latin heritage. 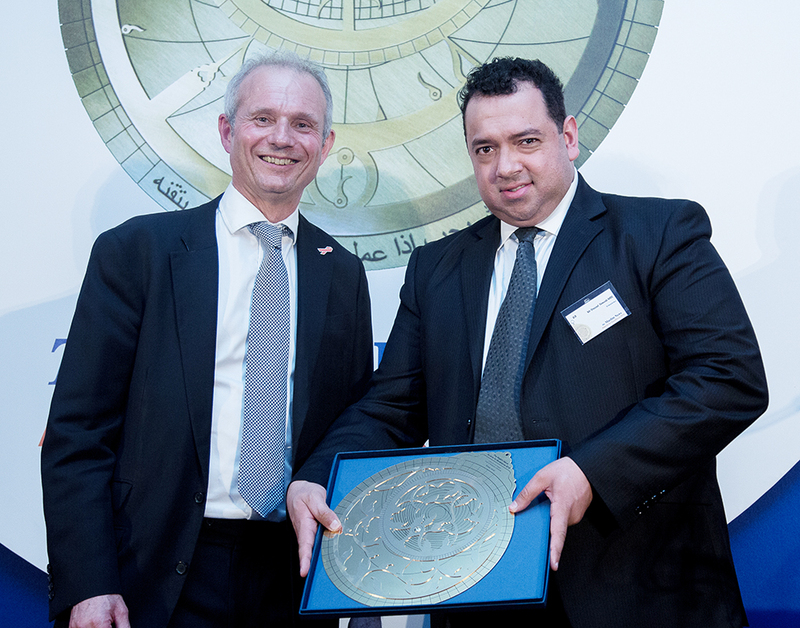 He has developed his own Arabic fonts, with the first one named after his home city of London. Ruh studied Graphic Design at the prestigious Central St Martins College of Art & Design and Arabic calligraphy in Egypt. He is known for developing his own calligraphic script styles and innovating Arabic typography. 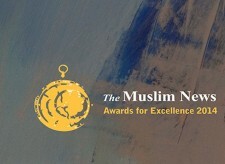 He has exhibited in galleries in the UK and the UAE, and last year he exhibited in a joint Muslim-Jewish exhibition in the UK. 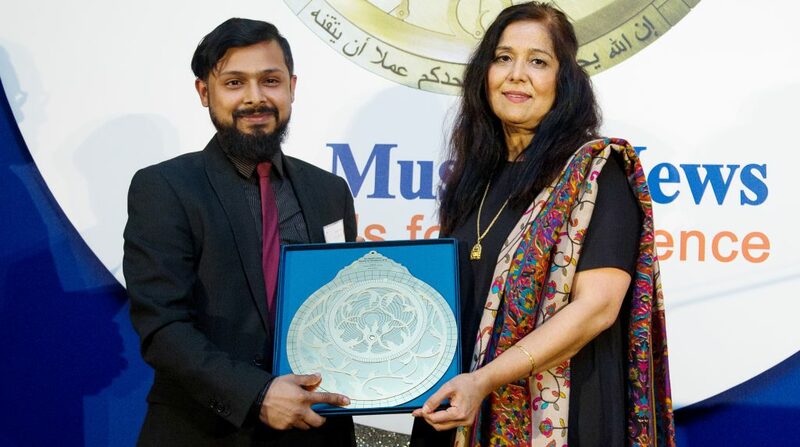 His community-based projects have included training young deaf students to make a successful film which won an international award from Adobe and he recently appeared in the BBC documentary The Hidden Art of Islam. Professor Annemarie Schimmel studied Arabic at the age of 15, an unconventional choice for a child born in post World War I Germany but one that shaped the rest of her academic career. A professor by the age of 23, she specialised in Muslim history, languages, and cultures and translated Rumi, Ibn Khaldun and Iqbal, among others, into German. Schimmel lent her intellectual weight to the defence of Muslims when, after the publication of The Satanic Verses in 1988, she questioned the motives of the literary establishment that allowed an artistic licence to impugn Islam. She died in January 2003 at the age of 80. Winner: Grassroots is a Luton-based Church of England Ecumenical organisation in its 25th year. It has successfully secured the British Council Global Xchange and Community Exchange programme to Luton, whereby people from all around the world can learn from Luton’s diverse make-up and large Muslim population. Delegates and MPs from Somalia, South Africa and Tanzania, and across Europe have come through Grassroots to learn from its community diversity programmes. Under its Spirituality and Justice Programme, Grassroots has helped Luton mosques become some of the first in the country to adopt a fair-trade policy. 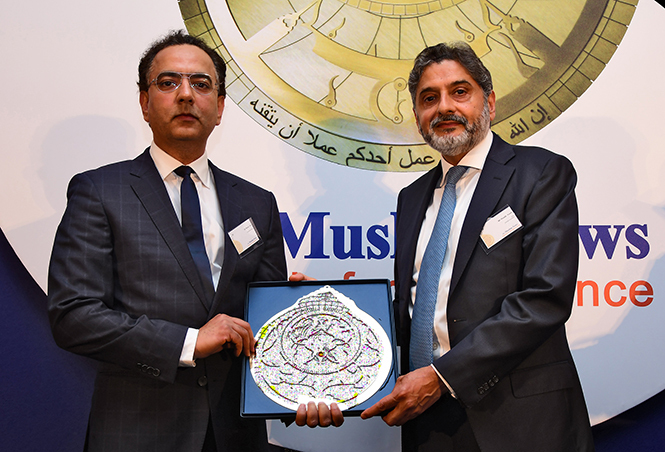 It ran an Eco-iftar with Islamic Relief in 2015 and 2016 and is now leading the successful Multi-Faith Steering Group for ‘Making Luton a Fair Trade Town’ campaign. In response to the rise of far-right activity in Luton over the past 5 years, it has worked closely with local Christian communities to provide advice and consultancy on these issues. Winner: Ishal Mahmud, 11, from Portsmouth has received the rare offer of a full scholarship to study as a full boarder at one of the UK’s top girls’ boarding schools, St Swithun’s School in Winchester. Her extraordinary achievements include playing the organ, piano and guitar, scoring in the top 1 percent of the population in Mensa IQ tests, being signed up for screen acting, singing in Winchester Cathedral choir and being a Young Portsmouth Ambassador. Ishal is a keen equestrian and a member of the British Pony Club. She is a model student, with an unbroken attendance record and high scores in her year 6 SATs. Ishal has achieved great things despite coming from an underprivileged background. In addition to her extensive charitable work, she is now setting up a charity to help other disadvantaged children to acquire places at top independent schools. Uthman Dan Fodio established the Sokoto caliphate in northern Nigeria in 1803. He was an eminent scholar who introduced controversial and remarkable changes to his people. He insisted that women be educated and he initiated a programme to drive up literacy levels. He defeated ardent advocates of the cultural mindset that considered it an abomination for women to leave their homes let alone be addressed by a male teacher – in the event, teaching was segregated. Few people were literate in the languages they spoke, some could read Arabic but not understand it. He was an innovatory solution through which both Hausa and Fulfilde came to be written in a uniform Arabic script. 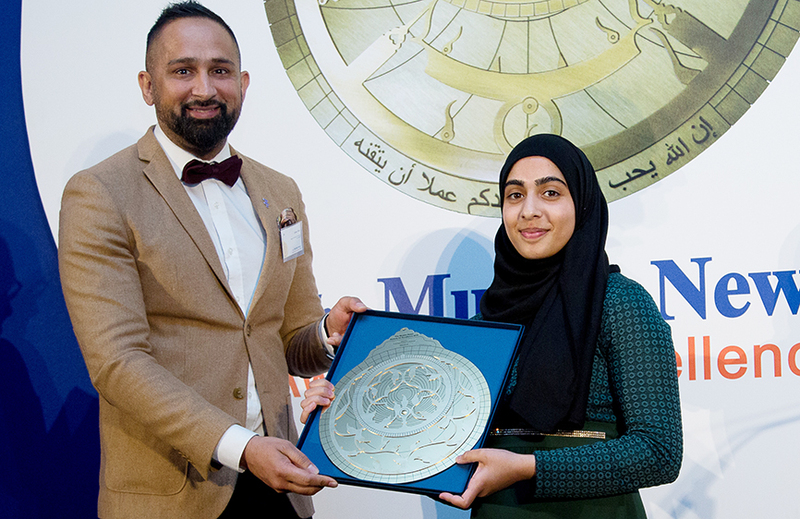 Winner: Islamic Relief and Approachable Parenting have joined forces to work with over 500 children from Muslim families to provide culturally-sensitive, community-based support programmes across the UK. The aim of these programmes is to provide early intervention that can support families to provide the best childcare. The project has helped parents and guardians improve their parenting skills such as approaches to child discipline, health management and nurturing learning and development. It is hoped these programmes will eventually grow capacity within communities to deliver peer-to-peer parenting support for years to come. Approachable Parenting believes early intervention with parents of young children can have a dramatic effect on the children’s long-term development. Approachable Parenting has a deep cultural understanding of how to win the respect and trust of families in need. Abu Rayhan al-Biruni, born in 973 CE, was recognised as a great mathematician and astronomer while still a teenager. Forced to flee his Uzbek birthplace, al-Biruni worked his way to India where he was appointed the chief advisor to Sultan Mahmud of Ghazna. For ten years, he saw acts of great creativity and deplorable carnage leading him to criticise religious intolerance. In his monumental Kitab Al-Hind, he explored the artistic and scientific achievements of the Hindus. The first to calculate the earth’s radius and to determine the precise weight of different precious stones and minerals, al-Biruni died in Ghazna in 1048 having written 146 works. Winner: Mfa Zaman from Lewisham, London, has volunteered tirelessly for many causes, from walking 600 miles to commemorate the memory of Jo Cox, to running a dozen half marathons in aid of disabled children. In addition to running his own organisation Community of Jews & Muslims, he volunteers his services to The Royal British Legion, Muslim Aid, Islamic Relief, the NHS, the Near Neighbours programme, the Epilepsy Society and Streetlytes UK. 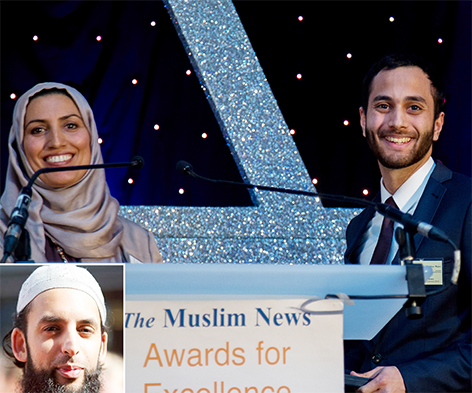 He was nominated for a Community Spirit Award and was one of Muslim Aid’s volunteers of the year in 2014. 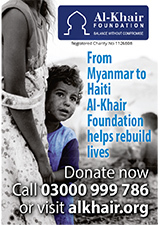 His community efforts have been covered by the BBC and ITV. He has taken his volunteering to sporting events such as the Rugby World Cup 2015 and the London Olympics 2012. Sankore University in Timbuktu, Mali, was a celebrated seat of learning during the fourteenth to the sixteenth century.Built around a simple mosque constructed in 989 CE, the university grew through generous donations and enrolled several thousand foreign students. Sankore’s diverse alumni were afforded an unparalleled religious education leading to a total of four degrees, graduates who completed ten years of academic rigour ten years took up posts at illustrious Muslim institutions such as Al-Azhar and Fez. Successive raids by Moroccan forces took their toll on the university and from 1591 onwards, Sankore’s most eminent scholars were deported. The university fell into decline and while over 1,400 documents have been preserved, Sankore never regained its status. 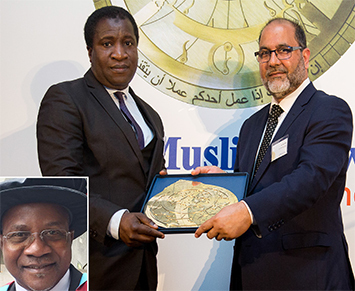 Winner: Professor Mashood Adebayo Baderin is a Nigerian/British citizen who has made significant global academic and religious contributions towards a better understanding of the role of Islamic law in modern international relations. He is Professor of Law at SOAS where he headed the School of Law (2009 to 2012). The originality of his work has resulted in the international recognition of his expertise, notably through his advisory role to the Foreign Office and his UN appointment as Independent Expert for Sudan. He was commissioned by the Department for International Development as an Islamic Law and Human Rights expert on scoping visits to Sudan in 2003 and 2008. He presented his reports to the UN Human Rights Council from 2012 to2014. 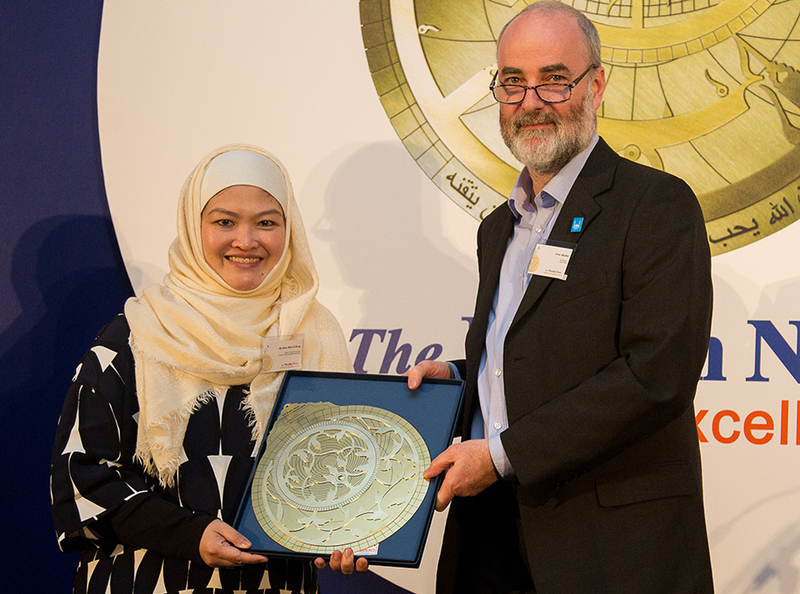 His contributions ensure that an Islamic perspective is considered in discussions surrounding Human Rights policy in the UK and internationally. Fazlur Rahman Khan’s design for the world’s tallest skyscraper was realised in 1975 with the 110-storey Sears Tower in Chicago. A PhD in Structural Engineering, Khan had already revolutionised design technology with his ‘tube structures’ and championed the collaboration of architecture and engineering – his Hajj Terminal Building in Jeddah melds the traditional structure of Bedouin tents with the modernity of fibreglass and cable. He was also concerned with the advance of rapid urbanisation in the developing world, a trend he had seen taking hold in his native Bangladesh.Khan died in Jeddah in March 1982, aged 53. Winner: Dr Sheraz Gul is Head of Drug Discovery at the Fraunhofer Institute, the largest application-oriented research organisation in Europe. He is researching cardiovascular and neurological diseases, malaria, cancer and neglected infectious diseases in Africa with the aim of discovering novel treatments. He is also engaged in the discovery and implementation of cutting-edge research tools that can revolutionise disease treatment. These include stem cell technologies and the identification of epigenetic markers that may identify the risks of developing certain diseases at a very early stage. He co-founded a biotechnology company Transcriptogen Ltd in London that is developing first-in-class medicines for pancreatic cancer. He is the scientific advisor to a number of similar companies across Europe. Shehraz has organised and delivered educational events and courses across four continents and trained over 450 scientists. Khadijah bint Khuwaylid was the first wife of Prophet Muhammad and is described in the Qur’an as Ummul Mu’minin (mother of the faithful) as are his other wives. She was also a leading entrepreneur whose integrity in business earned her the title of princess of the Quraysh – it is said that of the Makkan tribe’s trade caravans to Syria, half belonged to Khadijah. By the time of her death, widely accepted by historians to be in 623 CE, She had spent the entire sum of her vast wealth taking the cause of Islam on the cusp of statehood. Khadijah, the first convert to Islam is buried in Hajun, on the outskirts of Makkah. Winner: Born in Birmingham, Shezad Nawab took his initial inspiration from his enterprising father who owned a large and thriving Post Office branch, a busy supermarket and properties. He has been involved in supporting a number of new business and start-ups over the last 15 years, as well working with small and medium-sized enterprises to help them grow. 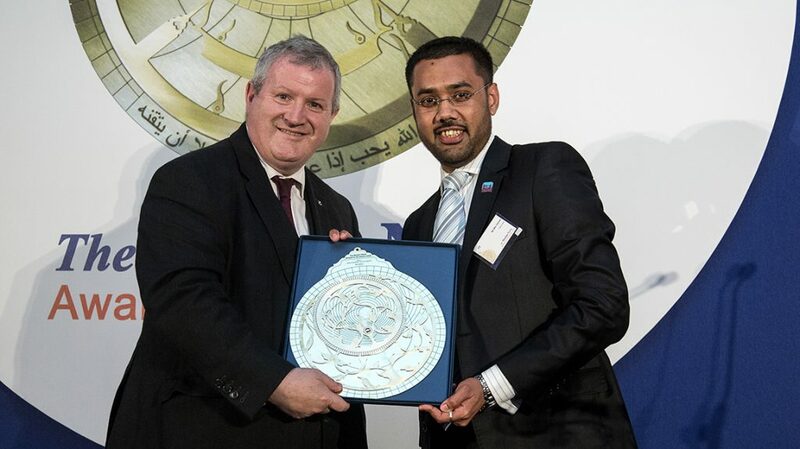 Shezad, who is profoundly deaf, has demonstrated his commitment to the community by constantly promoting entrepreneurship and business success. His passion not only lies in entrepreneurship in the UK but in the European and International markets too. He is fluent in British, Moroccan, South African, American and International sign languages. He received an MBE in 2017 for services to business and diversity and was listed in the top 10 Most Influential Disabled People in Business, 2014. Alija Izetbegović was the President of Bosnia and Herzegovina who, in the face of adversity, oppression and genocide, helped secure the rights of his people to live in peace. 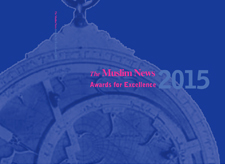 Those characteristics are sought in the winner of this award, who shows courage and determination in securing rights for British Muslims. He is one of the greatest statesmen and Muslim thinkers of the modern age. He also symbolises the struggle and the dignity of the people of Bosnia-Herzegovina. In a country defiled by its neighbours, denied defence by superpowers and effectively deserted by the rest of the world, Izetbegovic helped empowered his people by the only means available: faith and fortitude. The award for citizenship is named after Izetbegovic’s animating spirit: good citizenship entails fighting for one’s rights, and the rights of others – the fight must be principled and steadfast. Winner: Manningham’s Nazim Ali has raised £120,000 for a plethora of causes by running marathons and going on mountain treks. He visited Turkey several times to deliver aid to Syrian refugees and helped the homeless at the Curry Circle Project. In 2015, he assisted with the flood relief efforts in Carlisle and Todmorden and has been providing Eid presents to children in Bradford Royal Infirmary. Nazim volunteered as a football coach for Fairbank United and organises annual ‘Bringing Communities Together’ tournaments to promote cohesion as part of the Naqshbandia Active Development Association. In 2010 he was voted ‘Community Champion’ by Bradfordians in the Telegraph and Argus Community Stars Awards. 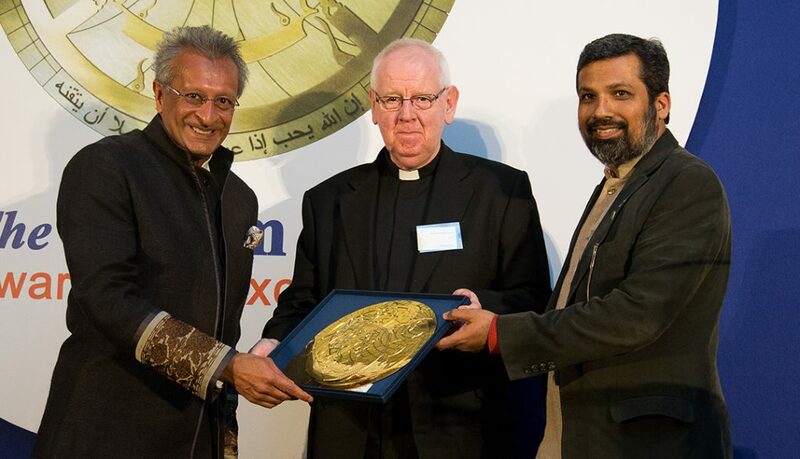 Nazim is a member of the ICLS Board which organises interfaith residentials globally for young people. Nazim served as Lay Member on the North and West Yorkshire Advisory Committee for the last seven years. At 36, he remains the youngest on the committee. To counter a 2010 BNP rally in Bradford, he organised a Community Fun Day in which over 60 young people attended. Ibn Abdullah Ibn Sina’s Canon of Medicine written in the tenth century was a seminal treatise that European doctors were still consulting seven hundred years later. Known in the west as Avicenna, Ibn Sina, Islam’s prolific philosopher-scientist, began his career at the age of eighteen attending the ruler of Bukhara, Nuh Ibn Mansur. In 1004, compelled by the collapse of the Samanid empire and the death of his father to leave home, he developed a holistic approach to treatment and became a leading cardiologist and founded the basis of modern drugs trials. From his own synthesis of Aristotelian tradition with Islamic theology, Ibn Sina discussed mathematics, astronomy and music in the groundbreaking Book of Healing. Ibn Sina wrote 450 works before his death in 1037 at the age of 58, in Hamadan, Iran. 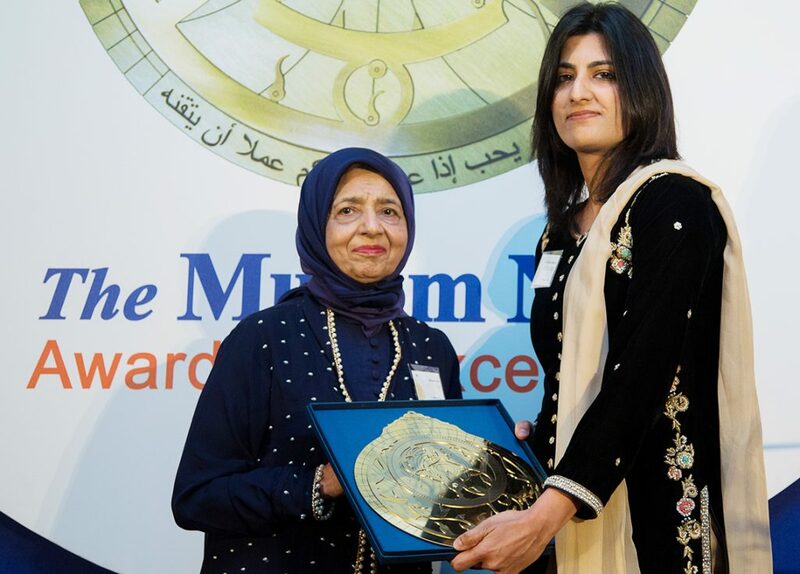 Winner: Dr Amina Jindani is an 82-year-old scientist from St George’s Medical school, London. Amina is internationally acclaimed for her research on tuberculosis, a disease she focused most of her life on. Amina has set up a global network of health workers to conduct trials in many countries, including Nepal, Guinea, Peru, Botswana, Uganda and Bolivia. She secured major grants from the EU and The Medical Research Council for St George’s University, making it the only entity internationally to be awarded such funding for global research. To maximise the value of these grants, she travels regularly to these countries to gather evidence on a voluntary basis. Her devoted efforts have led to significant changes in ethos, procedures and approaches to the eradication of this disease at both the World Health Organisation and the Food and Drug Administration in the US. Abu Abdullah al-Lawati Ibn Battuta was 21 years old when he left his home in Tangier for pilgrimage in Makkah, it was a considerable undertaking in 1325. Nevertheless, the young lawyer took the scenic route through Egypt, Syria and Palestine inspiring him, upon his return a year and a half later to spend a further 25 years on an epic trans-continental voyage. Ibn Battuta’s experiences at the hands of sultans, pundits and bandits, and his comments on cultures and traditions from the Atlantic to the Pacific (in lands uncharted even by his predecessor, Marco Polo) were recorded by Ibn Juzayy in A Gift to Those Who Contemplate the Wonders of Cities and the Marvels of Travelling – known more commonly as Rihla (journey). Winner: TV Producer Mars Elkins-El Brogy started her journalism career at the age of 16, working at a local Ipswich daily newspaper before graduating in journalism from Sheffield University. After working for local newspapers, she moved into TV, managing dramas for the BBC, ITV and Channel 4. She was at BBC Entertainment as a multiplatform producer developing game show formats and running social media for Comic Relief, Sport Relief and Children in Need. She was promoted to Online Producer for BBC Three, executing the channel’s overall digital strategy. She is currently the youngest Advisory Council member of the Royal Television Society and spearheaded RTS Futures Midlands. Mars is the youngest and only Muslim to deliver the RTS Baird Lecture at Birmingham Town Hall following the footsteps of former BBC Director General Mark Thompson. Mars is a patron of the National Student Television Awards and the Media Trust, where she mentors and runs workshops. In 1990, Faezeh Hashemi successfully campaigned for the inclusion of Muslim women to compete at the Olympic Games wearing appropriate Muslim attire. 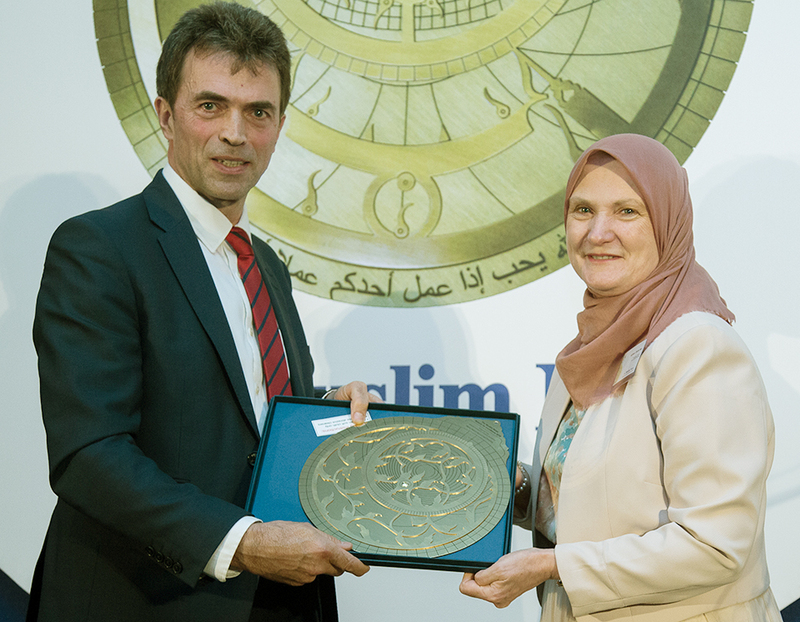 Soon after, she quashed opposition to found and preside over the Federation of Islamic Countries’ Women’s Solidarity and Sports which inaugurated in Iran, in 1993, the first-ever international sports event for Muslim women. Faezeh Hashemi’s pioneering attitude has seen her rise to prominence in many fields including politics (she was a member of parliament) and the media (former chief editor of Rouznameh Zan). Winner: Saba Nasim has devoted over eight years of her spare time to coaching at Wanstead CC in East London, whilst working as a full-time solicitor. In 2013, she set up a girls’ cricket project in Redbridge in collaboration with Essex County Cricket Board and the Chance to Shine charity. Saba uses sport to empower and promote social cohesion amongst girls from a wide range of backgrounds. The girls’ have won nine national Chance to Shine Street tournaments, with 12 of her participants now currently training to be cricket coaches. Saba was a part of a Guinness World Record which was broken in July 2017 for ‘the largest cricket lesson held in a single venue’ at Lord’s Cricket Ground, which she helped to coach and run. Saba has coached over a thousand girls in the South of England. In addition to winning various awards in the cricket community, she was recognised by former Prime Minister, David Cameron, and more recently by the Queen when she received her British Empire Medal. Malcolm Little, born in 1925 in Nebraska, chose X to replace the slave name given to his ancestors. An outspoken civil and human rights activist of the 1960s, Malcolm X, also known as Malik al-Shabazz, had embraced the teachings of Islam in prison. After parole, X joined the Nation of Islam but in time questioned the ethos of its founder, Elijah Mohammed, and rejected the movement’s avowedly pro-black, anti-white stance when he made the pilgrimage to Makkah. There, in 1964, he observed people of all colours enjoying mutual respect and dignity under Islam. On February 21, 1961, Malcolm X was assassinated in Manhattan. 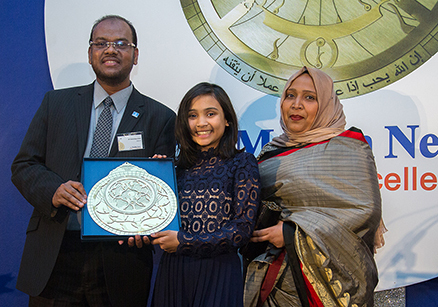 Winner: Maryam Ali is a bright young lady who has completely transformed her life in the last few years. After a period of instability that involved leaving home and missing a year of school, Maryam has been able to channel her energies into childcare and is currently in the second year of her teaching degree. In her quest to help other girls gain confidence and improve their self-esteem, Maryam undertook a ‘cricket activators’ course and completed her level 2 cricket coaching course. 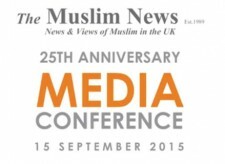 She now engages Muslim girls and holds weekly sessions within community centres and a mosque in Leeds. She is attracting many girls to cricket and was awarded ‘Young Coach Of The Year 2017’ at the ECB Coach Awards. Maryam has set up her own charity Orphan Care which has since ‘adopted’ a school in Zanzibar with the aim of supporting resident orphans and children with their education, food and vocational skills development. 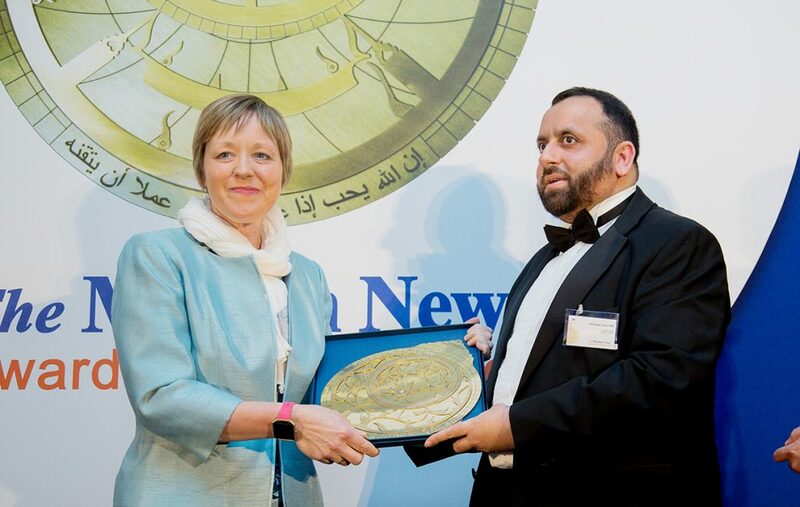 Winner: Dr Fayyaz Afzal OBE is a barrister and Recorder, who was sworn in as a district judge at Derby Combined Court Centre, making him the first and only Muslim district judge in the East Midlands. When Fayyaz, aged 39, was called to the Bar in 1999, he was the only Asian blind barrister in the country. He successfully practised in areas of crime, family and immigration, serving on committees at the Advocacy Training Council, Bar Council and at Lincoln’s Inn. Fayyaz has also been a Legal Assessor and Legally Qualified Chair for health and professional regulators. He has won various awards including Community Lawyer of the year, Professional of the year and the Achievement through Adversity Award. Fayyaz has been a keynote speaker at events including The World Bar Conference in Hong Kong. His work in advocacy led to his achieving an OBE in 2008 and being made an Honorary Doctor of Staffordshire University in 2010. Winner: Dr Sabhiha Saleem. 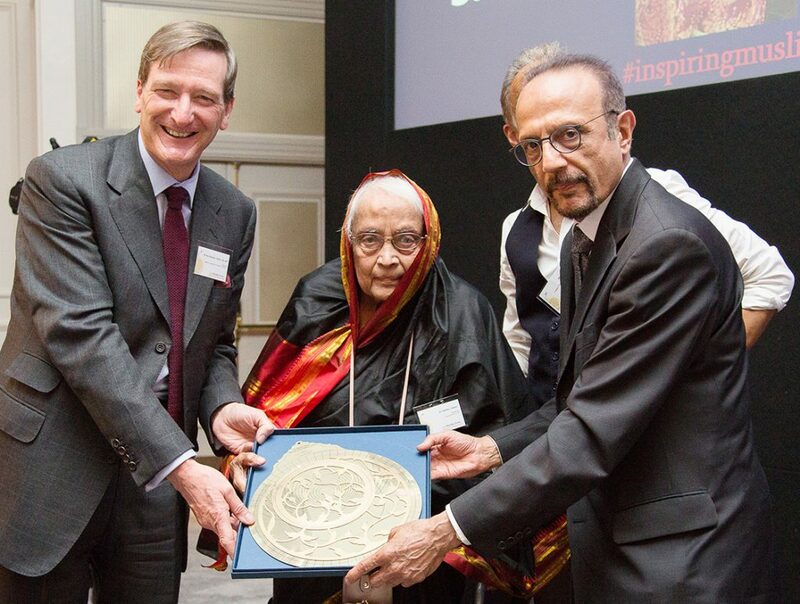 In the 1940s, when India was going through turmoil with the independence movement, Sabhiha Saleem persuaded her parents to let her go to Hyderabad city to study for her pre-med before entering the prestigious Osmania Medical School. After qualifying 5 years later, she went on to set up her own clinic, fast gaining a reputation as one of the city’s prominent young Muslim women doctors. Dr Saleem then made the brave move to Manhattan, New York, working as a doctor for 3 years before coming to London in 1960, where she met her husband. In the next two decades they established three GP practices in deprived areas of south London, had four children and hosted Friday prayers and Arabic classes for the growing Muslim community in South London. By the late 1970s, recognising the dire need for a permanent building and Islamic community centre, they began the laborious process of fundraising for and purchasing a large house on Brownhill Road, Catford, that was to become the first premises for the Lewisham & Kent Islamic Centre. 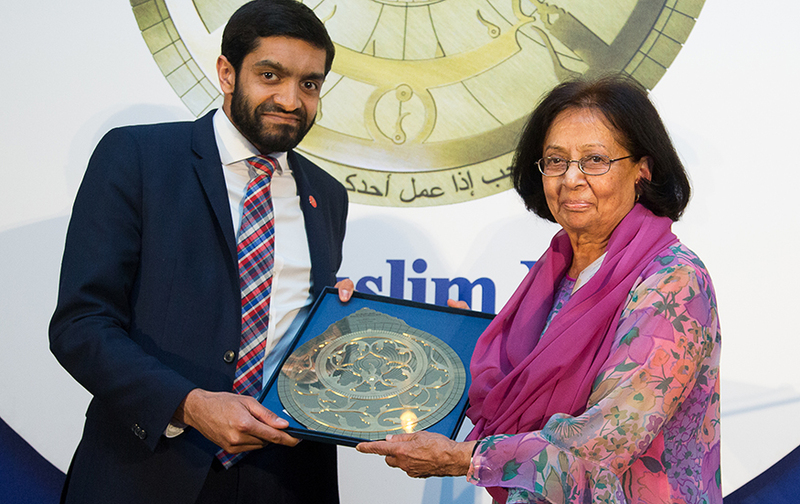 Dr Saleem is the first Muslim woman to have been prominent in funding and establishing a mosque in the UK She ran an Islamic studies/Arabic language Sunday school in Downham, South London, from the late 70s for over thirty years. She supervised her team of volunteer teachers and dozens of children came every week to learn. 87 year old. 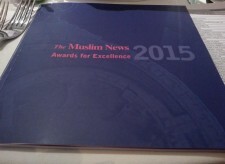 Dr Saleem remains a trustee of the now thriving Lewisham & Kent Islamic Centre. After she retired, well into her seventies, she was nominated for an OBE for her services to the community.